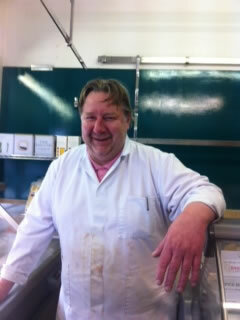 Chiswick butcher Ken Hammond is moving from his shop at Strand-on-the Green after twenty-eight years. 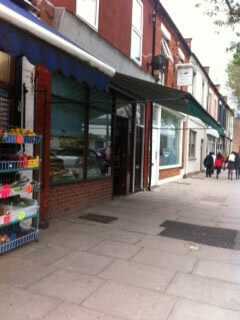 But loyal locals can still remain customers as Ken is moving up the road to Kew Bridge to a new expanded shop and deli which will be opened by MP Mary Macleod. Hammond’s Butchers & Delicatessen based at the north end of Kew Bridge Road will be officially opened by Mary Macleod, MP for Brentford and Isleworth on 15th April in her capacity as Small Business Ambassador for London. Owned by long time local resident, Don Ferguson and his brother Derek, and with various local residents forming part of Team Hammond, the venture forms part of the ongoing regeneration of the area and a return to the traditional values of the high street which is currently much vaunted across the media and promoted via Government initiatives. Hammond’s offers a new start for Ken Hammond, who is looking forward to a new challenge heading up the butcher's side of the operation. Ken, who started as an apprentice butcher at Barker's in Kensington where hsi uncle was head butcher, has seen many changes over the years. But while many people buy meat from supermarkets for the convenience, many also prefer to stay loyal to their local butcher. The guiding principle throughout the shop is to offer customers excellent, authentic and unique produce from the best independent producers which can be found in the supermarkets or chains. Hammonds’ is keen to use as many local producers as possible and already has a local company supplying the beans for their very special in-house barista coffee; a nearby bakery supplying the bread and delicious pastries and a fantastic range of English cheeses from a dairy in Surrey which will delivery daily. Hammond’s welcomes approaches from quality local producers.